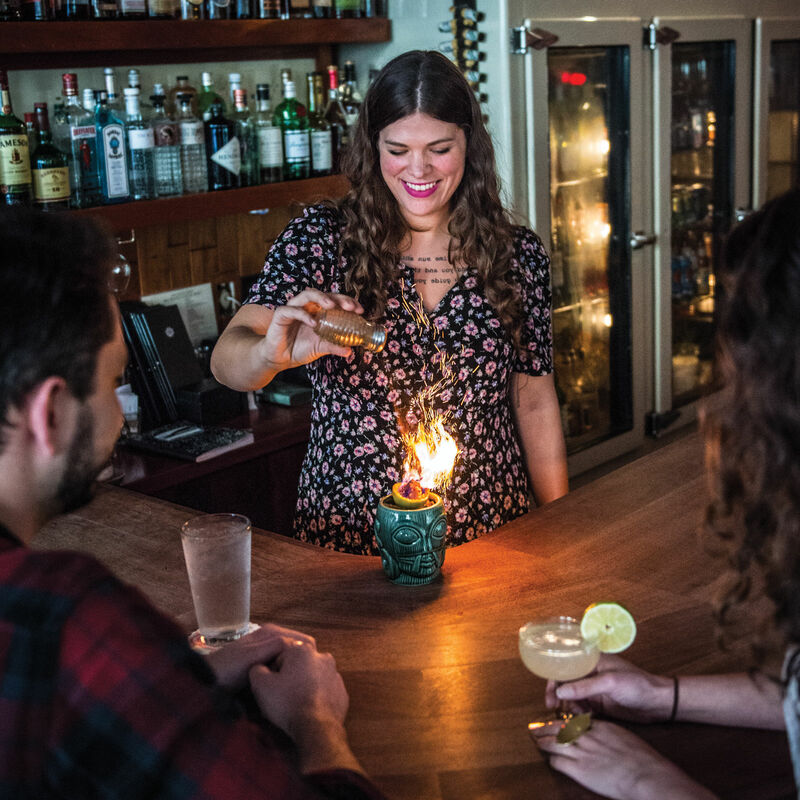 With the Sun Liquor Distillery and Lounge on Pike/Pine no longer serving up its own eponymous batches of vodka, gin, and rum, it's back to the original. 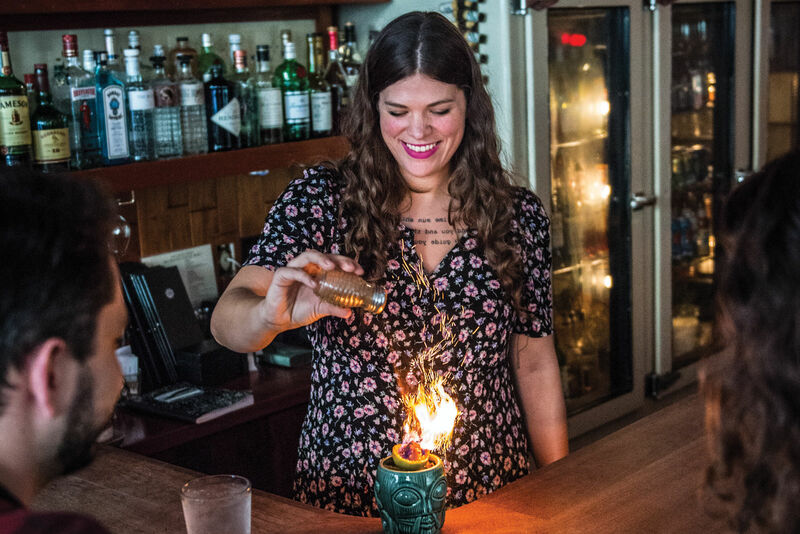 This Sun Liquor, first of its name, is situated on that surprising block of food and drink among the lush trees and stately brick apartments on the north end of Summit—a den hidden in a forgotten corner of the tropics. 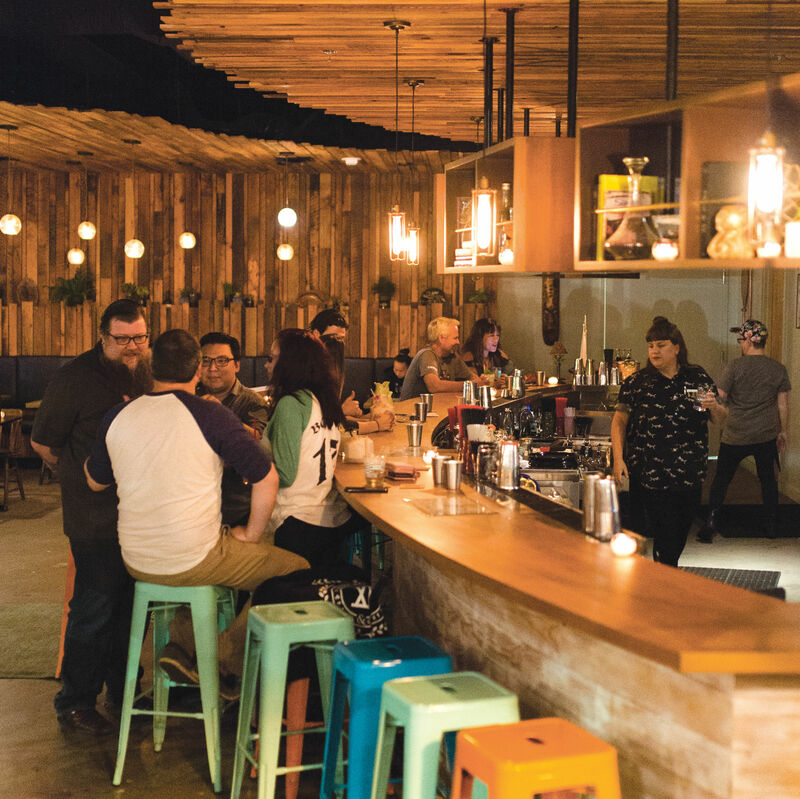 There are hints of paradise—the tiki cocktails, the bamboo furniture, exotic wall murals of unknown locales—but the interior is in perpetual dusk, even during the stellar afternoon happy hour. A warm bowl of assorted nuts makes up the entirety of the food menu, but if you’re going for food, you’re missing the point. It’s a place for close talking, for the solo drinker wanting a Pimm’s cup made right instead of a Manny’s, for the last stop on a third date. The bartender keeps pulling that lever on the juice press, squeezing fresh grapefruit into the third, fourth, fifth greyhound. What time is it again? Even though it’s situated in one of the most desirable residential neighborhoods on the hill, Sun Liquor still feels like a secret.